Podiatric medicine deals with diagnosis and treatment of the disorders and injuries of the foot, ankle and lower extremities. For this, specific regulations need to be followed in podiatry medical billing to increase reimbursements and avoid delays. Centers for Medicare & Medicaid Services (CMS) requires that only those podiatry services are covered which are considered medically necessary and require reasonable foot care. For the treatment of warts, insurance is covered if they are located on any other part of the body and is not taken as a specialized podiatric service. Routine care is covered if it is mandatory or acts as a supplemental benefit. Another reimbursement by Medicare is the care of the patient’s foot with chronic diseases, wound care treatment, and Hyperbaric oxygen therapy for hypoxic wounds and diabetic wounds of the lower extremities. Medicare covers preliminary diagnostics if they are performed due to a grievance or a symptom shown by the patient. Peripheral neuropathies involving the feet or special shoes/inserts for diabetics. In podiatry billing, routine foot care is denied right away, for example, for services such as initial care, diagnosis of metabolic, neurologic or peripheral vascular disease, flat foot, mycotic nails, and foot issues due to diabetes mellitus, chronic thrombophlebitis, or peripheral neuropathies. Flat foot treatment, therapeutic shoes, removal of corns and calluses and correction or usage of supporting devices for such a condition are not covered by Medicare. These and several other podiatry billing guidelines make it a difficult area to navigate and understand. In addition, your staff and technology needs continual upgradation to keep up with the changing regulations to maintain compliance. 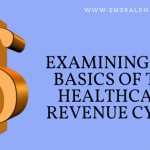 Podiatry billing software and professional podiatry billing companies, such as Emerald Health, can help you increase reimbursements while staying compliant so that you can focus on providing the best podiatry services to your patients. To learn more about the services offered by a podiatry billing company, call Emerald Health LLC at 855-650-9906 Today. I’m so happy I found this blog! It inspired us to work on our website Telefoons Aanbieding.